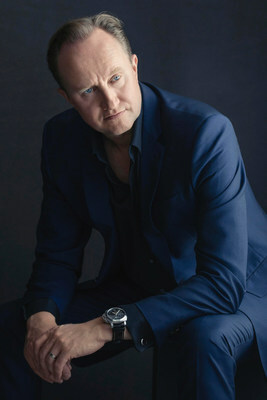 Giles Taylor Joins the China FAW Group as "Global Vice President of Design and Chief Creative Officer"
FAW announces that Giles Taylor has formally joined the corporation as the "Global Vice President of Design and Chief Creative Officer (CCO)". Mr. Taylor previously held the position Director of Design for Rolls-Royce Motorcars, UK. In joining FAW, he will be chiefly responsible for creating design strategies and unique style concepts for the FAW luxury brand HONGQI. As well as establishing an FAW design development system he will oversee the infusion of internationalized design philosophies into the complete range of FAW products including autonomous passenger cars. Mr. Taylor will be located in Munich, Germany. He will lead the establishment of a new FAW Advanced Design Center in Munich, housing a globalized high-end design team. The Center will principally undertake project work for the HONGQI brand including both forward-looking concepts and production projects. Mr. Taylor, a master's graduate in 1992 from the vehicle design discipline of the renown Royal College of Art in London, has rich experiences in super-luxury car design. He spent 13 years at British luxury marque Jaguar Cars during which time he held the position of Chief Designer for the current XJ saloon and XK sportscar launched in 2005. In 2011, Taylor joined Rolls-Royce Motorcars where from 2012 he served as Director of Design up until now. He led the design of many successful cars including the drop-head Dawn, iconic Phantom VIII limousine and the recently launched Cullinan SUV. In 2016, his Rolls-Royce 103ex concept vehicle laid an extraordinary "autonomous luxury" vision beyond 2040. Upon becoming a formal member of FAW Taylor said: "I am very much looking forward to embarking on an exciting new career path with FAW. HONGQI, as the oldest and most famous Chinese car brand, carries with it a deeply significant and diverse cultural history. There are many inspirational elements surrounding the marque with which to create fresh, modern vehicles for the new era. I look forward to working with the FAW Executive team to deliver this fascinating mission for HONGQI as well as exciting future products for FAW." Mr Xu Liuping, Chairman of FAW, welcomed Taylor's joining. He said: "Under the general trend of globalization, China's auto industry is facing an excellent opportunity of setting not only a benchmark but also a precedent within the global auto industry. We need a more internationalized, specialized and diversified team with a more globalized mind and vision in order to deeply fuse China's rich high-level culture with other advanced global cultures, modern fashion designs, leading-edge science and technologies, including fine-grained emotional experiences into brilliant products and services." Mr. Xu said: "Mr. Taylor is familiar with HONGQI and Chinese culture. He possesses a deep understanding for this brand. His rich experiences in the design of high-end luxury cars and his insight into the trend of global designs and innovations highly match the brand positioning, product layout and future planning of FAW and HONGQI. I believe, his joining will help HONGQI achieve the target of building a 'new noble brand' - the best in China and famous around the world."